Pictured is the crew that re-planked the wood floor 1898. 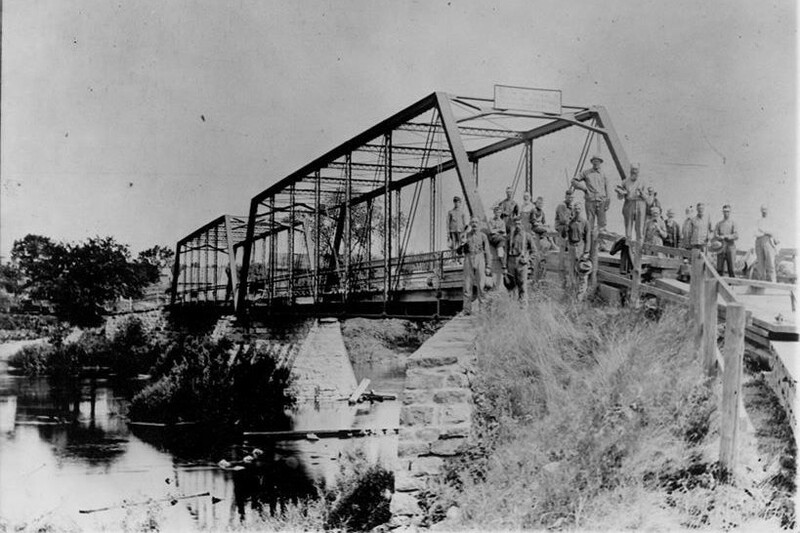 Included in the photo is Highway Commissioner Charles Knapp in the center of the men wearing a hat. Budd Wilson stands to the far right of the group. 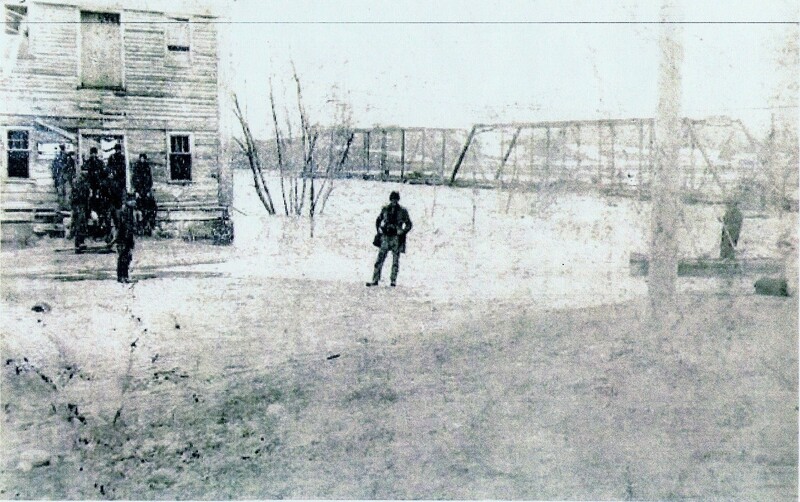 The photo is believed to be taken from the south bank looking north toward Delta Mills. 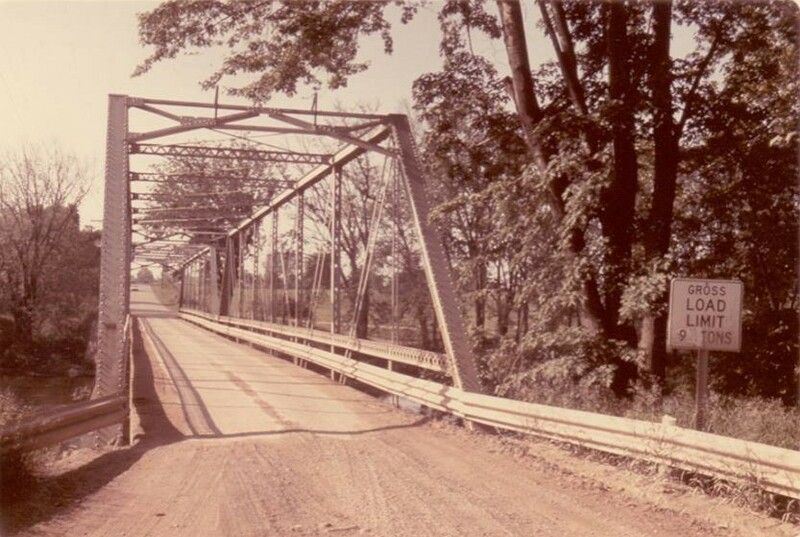 Delta Mills Bridge. Pictured from the North Bank of the Grand River. Original steel span structure constructed in the early 1890’s with a new concrete floor replacing the original wooden planks. The Grist Mill was built in 1837 on the north bank of the Grand River, near the corner of Vermont Street and Main Street. This picture of the Grist Mill was taken in the spring of 1904 after a flood. The mill was torn down later that year in August of 1904. In the background is the Delta Mills Bridge. In the foreground you can see the water which had risen over the banks of the Grand River, past the Grist Mill and up to where L.D. Wilson stands alone. Wilson married Lela Ann Ingersoll, who was the great granddaughter of Erastus Ingersoll the first settler of Delta Township. Delta Mills Bridge. View from the South Bank of the Grand River with the old Grist Mill in the background. Photo taken in 1899. 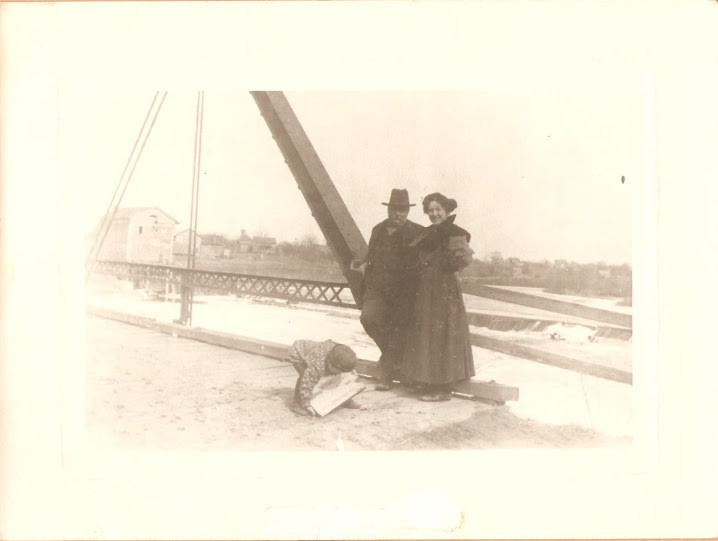 Picture taken in the 1890’s of what is believed to be the Henderson family standing on the south end of the Delta Mills Bridge. Seen in the background is the Grist Mill. Work resumed on the current structure in August 1966 and work was expected to be completed by November of 1966. The current structure is made up of concrete supports, topped with 58 25-ton concrete beams each spanning more than 70 feet. The beams were lifted into place with a crane operating on the river bed which was built up into a mud flat for the construction. During the construction, work was also completed to move “W. Willow Highway slightly to the south, eliminating the T-intersection at the south end of the bridge (TSJ, 9/1/66).” This work cleared space for the eventual construction of the canoe launch at Delta Mills Park. Have more to add? Or pictures of the bridge? Share them in the comments or email Tom Moore (tmoore@dtdl.org). 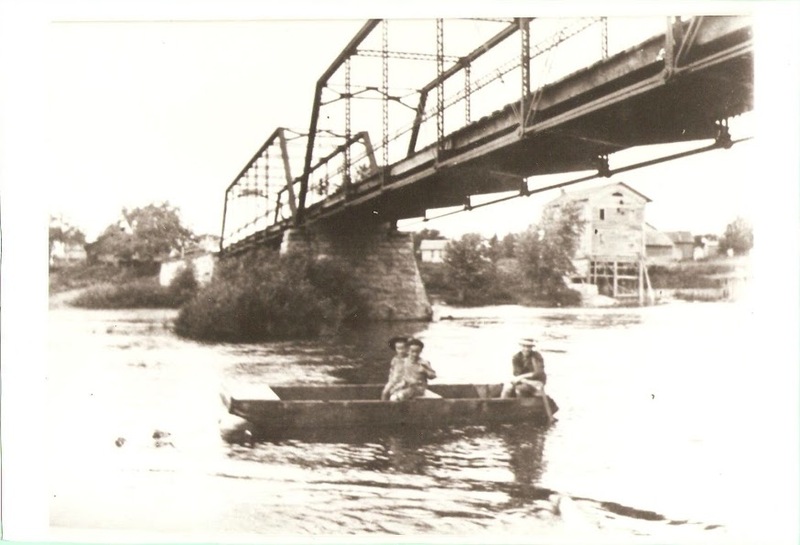 This entry was posted in Buildings & Structures, Early History and tagged bridge, construction, Delta Mills, flood, Grand River, Grist Mill.